Do you know the kids' nursery rhyme, "The Wheels on the Bus?" What goes round and round? If you like learning baby songs, we've got the best nursery rhyme compilation for you! 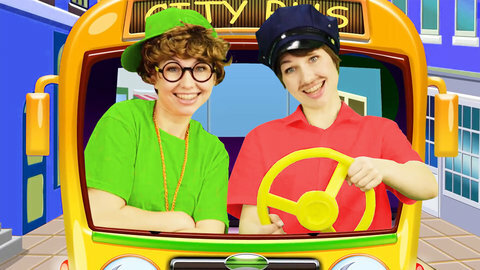 Join us in our action-packed kids' song compilation to learn "The Wheels on the Bus" and other nursery rhymes for children. Watch this online nursery rhyme video collection for free now! We can't wait for you to sing and dance along to "Wheels on the Bus Go Round and Round" with us! Enjoy many other kids' songs and nursery rhymes at SeeZisKids!